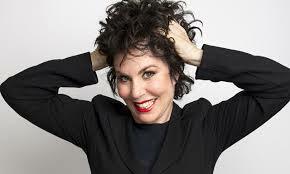 I promised a separate review on Ruby Wax’s book as it deserves one. I feel, (correct me please if you think I’m wrong), that mental health and well-being is completely underestimated and neglected in society. So how the hell do we address the issue? Individual responsibility? Education? Change in attitude? Awareness and media coverage? Change in policy? All of the above perhaps. This is why I feel that Ruby Wax, her show, her book and public presence is doing something so fundamentally important as it works on these actions simultaneously. It’s candidly written from intense and dark personal experience, so rings painfully true at points and she doesn’t hold back which allows the reader to fully accept the reality for those living with mental health illnesses. Once on board you are given, the fascinating and eye-opening facts about the brain and how it functions, how mental health issues develop and why it is so difficult to over come. What I found most intriguing is the section about mindfulness based cognitive therapy. 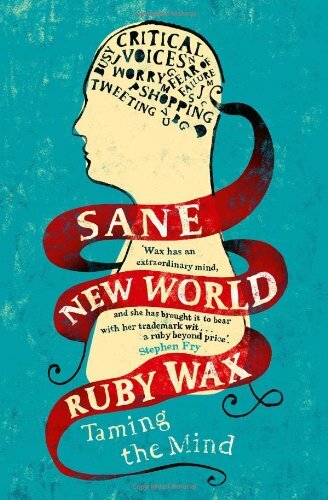 The way it helped Ruby herself, how it is always accessible and completely in control of the individual and the potential positive impact it could have for those suffering. Though it may be a constant battle with yourself, its curiously simple and easy to start. This is essential reading, not least because it is peppered with Ruby’s unmistakably candid humour. It is a great summary for any one suffering with poor mental health, who knows someone with mental health issues or those just curious to understand better. Mental health and well-being is a subject extremely close to my heart. I have seen the devastation and debilitation that mental illnesses and also less severe mental stress/pressure can have on an individual and their lives. From acute stress and anxiety on a day to day basis in the workplace to depression, eating disorders and mood disorders in my circle of dear friends, to the full spectrum in my volunteering with the charity The Samaritans. I had the privilege of attending a panel discussion held by my workplace, at which the fabulous Ruby Wax was a guest panelist. She spoke honestly and fiercely to a room of eager listeners about her experience and her work into understanding mental illness. I hope that there was plenty of food for thought for the decision makers in the room, because there is a vast divide between the ideal working environment which is truly inclusive and supportive of all and the corporate machine that is in place currently. Change is hard, but I hope that the event really inspired the leaders to lead in this area, where so many big companies are woefully behind. 2. Illnesses that fall under mental illnesses: Anxiety disorders, mood disorders, psychotic disorders, eating disorders, impulse and control disorders, personality disorders, adjustment disorders, dissociative disorders.. the list goes on. First of all this book is as radical as it sounds. It’s not just an attention grabbing title for the sake of pulling in readers. It is actually about reassessing what the concept of work is and realigning that with what we really want out of life. I feel as though I have read it a what happens to be a pivotal point in my own personal journey to discovering what this means to me, and this book along with number of others has sped up this process immeasurably. 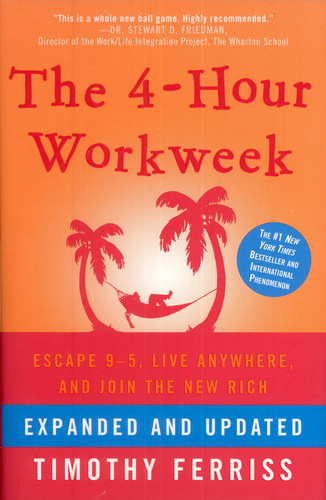 If you are happy and secure in your 9-5, then this book will seem outrageous to you. However, my guess is that if we ask ourselves some fundamental questions about our careers and our lives then more of us need these sorts of books/ideas than we think. 1. What is happiness/ the ideal in life? 2. What is the purpose of working? 3. Humour me.. If you had unlimited time and money, no constraints whatsoever, what would you do every day? 1. Happiness is being the best version of yourself, constantly learning, being grateful for everything you have, loving and being loved, experiencing the full and diverse spectrum of the world and everyone in it, leaving the world a better place that when you’ve joined. Not exactly a concise definition and maybe not even complete, but that pretty much covers my thoughts. 2. Working should basically facilitate all of the above. Allow you to work to your strengths, teach you new and useful skills, allow you to interact with great people, provide you with the money and flexibility to do all the things that make you happy, do some good in the world, etc. 3. So when I first asked myself this, I was ashamed to realise that I really didn’t have a clue what I would do if I didn’t have to work everyday anymore. Surely the whole point of all this hard work I’m doing was to achieve these things? But I didn’t even know what they were. So I wrote a bucket list. Now I think I’d be busy for the rest of my life and still not get through this list. It’s exciting. I’ll write another post about that. Its epic. 7. Start right now. Not soon, not later, not next week, not when you have more money or more time. Right now. Over 15 million people have supposedly read this book, me included. What I wonder is the impact it has had on these readers lives. 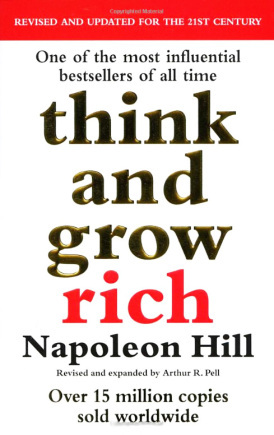 I do not say this lightly, but this book had fundamentally changed the way that I think about how to become successful and consequently, I think will have altered the future course of my life. Big claim right? For a book written in 1937 maybe you’d ask how can it still be so relevant and applicable in our modern capitalist, consumer society. The basics of success, it seems, are predictable and timeless and Napoleon Hill may well have been the single most knowledgeable person on this topic that has ever lived. He was employed by Andrew Carnegie to spend 20 years interviewing the most successful people of his time (including Andrew Carnegie himself, Thomas Edison, Rockefeller, Henry Ford and dozens of others) and distilled all that he found into this one book. It would be an a pale imitation of the real thing to try and summarise here. So I just request that you read this book. With an open mind and a slight allowance for the dated narrative. In that sense it completely reminds me of Dale Carnegie’s ‘How to win Friends and Influence People’ another classic. If you let it, if you want it to, this book will change you’re life. If you have already read it, please let me know your thoughts and how/if it impacted you. I’m really curious to see what others thought! Catch me on Twitter @rimapatel7, would love to hear from you! I love this book. It is long. So very long. However, it is magic. 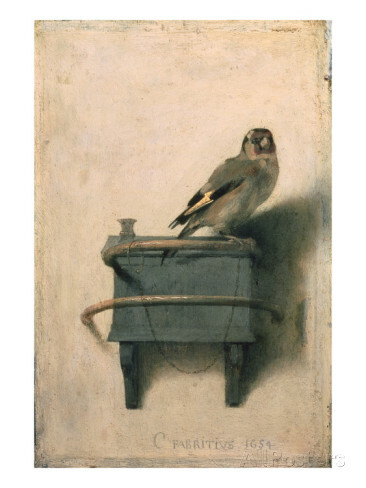 Donna Tartt did something special with Goldfinch. Difficult to express exactly how but reading it showed me to the possibilities of language and transfer of emotion that I was skeptical even existed. How she conveys New York, having just visited, is breathtaking. In particular how she captures how Theo feels about Pippa was something that stuck with me. The madness, the self indulgence, the self pity, the hopeful expectation and disappointment and frustration. The misguided addiction, desperation… captured so beautifully that you feel it yourself. I could go on but read the book yourself and hopefully you will see what I mean. To draw that out of a reader is no small task. Its the first book I’ve read that made me want to write.